Now updated, includes 2018 activities! Would you like to know about my background. My paintings are on display in museums and public collections. I have had one-woman shows in four continents and many group shows. Some paintings or/drawings of mine have appeared in newspapers and books. To see some of my favorite paintings, click here. 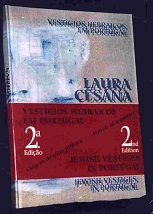 To see some reviews (in English, Portuguese or French) on my book "JEWISH VESTIGES IN PORTUGAL"- subtitle: travels of a painter, click here. 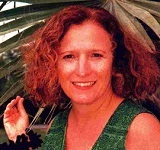 To see a list of some interviews, information on TV, Radio, Newspapers and Magazines about Laura Cesana´s art, and some names of people of different countries wrote or spoke in a public presentation about my art work, click here. It is bilingual (English/Portuguese) and I labored on it for seven years! If you want to know more, click here for selected reviews in English, here for selected reviews in the Portuguese language (from newspapers), and here for one in French.